Who would like to leave their comfy couch when they can get everything, they want sitting on the couch with just a few taps and swipes on the smartphones. In a thriving world where everyone is busy, on-demand delivery is every day's necessity. What was inaugurated by uber for taxi earlier is now hitting one industry after another through its rises in demands. As of 2017 Global parcel delivery represents a $350 billion market opportunity. The digits leave no surprise that on-demand start-up is a new king in the market. Thanks to new IT technologies! But what is on-demand delivery? On-demand delivery is a mediator between customer and services providers of different services. On-demand let you have whatever you need despite wasting your time and energy in standing in a long queue. Perhaps many on-demand applications are rising, food-delivery is a kingpin in the market. Of course, it will as it enable us to have our favorite meal without even stepping down the feet from the couch and kill all our cravings and starvation. In an overcrowded food delivery market where GrubHub, DoorDash, UberEats, and Postamates are already leading the industry, neophyte's keep joining the rocky competition. With the tough competitors in the market, it’s difficult for newbies to survive and face challenges while promoting their new delivery service startup with modern features. You might be wondering what it takes to build a successful on-demand food delivery app that lets you stand out of a crowd? 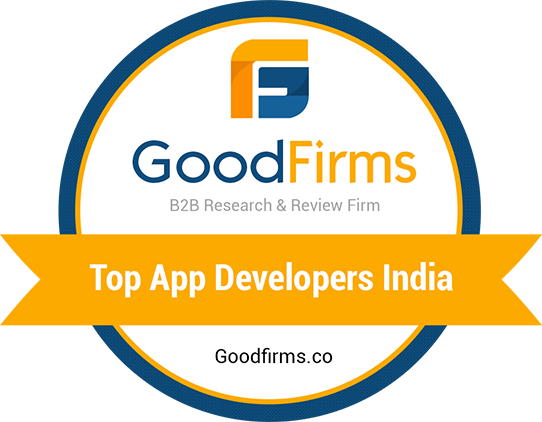 We have punched out common problems faced by neophytes to overcome the fear of competition and create a path towards the most loved application on Google or Appl play store. For a successful food delivery app, it is very crucial to select the right target audience. On-demand food delivery is not just delivering delicious food. People have different taste in food, some like to have delicious pizza while others may prefer a healthy diet food or salad it all depends on their taste and preference. In the food delivery industry, it is beneficiary to know your target audience first and then their demands and expectations. There are many other things you can deliver beyond food like delivering grocery (oil, cereal products), ready-made meal, serving curated meal according to customer's diet incorporating recipe. Who does the most successful food-apps target? Goodmeal is a stop for the ones who prefer to have diet food. UberEATS operating in the biggest cities of the US and Europe has a wide range in the selection of food items to cater to at your door-steps. Postmates operating in the biggest cities of the US and Europe has a wide range in the selection of food items to cater to at your door-steps. targets the same target audience as UberEats, millennial. However, Postmates has widened its service by delivering beyond food. They deliver many other items at your door-step other than food items. Say, for example, you went to a grocery store and forgot to bring any small product like oil, Postmates delivers you even the smallest item and that makes them more than just a food delivery app. New food delivery start-up has to make sure they enhance the visibility of their food platform to be seen among their competitors. In order to do so, they have to make sure to enlarge their network with more and more restaurants, grocery stores, and local farmers. It will push towards the higher transaction rate among their competitors. Every food delivery app has different demands and strategy and they wish to partner with restaurants accordingly. Eat24 and GrubHub are the companies who build a partnership with local food establishment by cutting down the delivery cost and then taking a commission from the sales. They start working with the partner restaurants only after the contract is finalized and signed to fruitfully enjoy the mutual agreement and broaden the publicity. Farmdrop, a London based grocery store partners with local fishermen and farmers and delivers food directly from their farm. Such companies solve the barrier of delivering the top-notch quality organic food and ingredients. Among all, Postmates chooses a risky partnership strategy to widen the client base. Postmates used to deliver food from the number of restaurants before signing any agreement, then gathered feedback and if it is proved lucrative than only, they offer restaurants merchant to join. To smoothly run the food-tech platform it is very crucial to implement all the necessary tech features in the app for customer, restaurant, and driver. Thus, in the agile on-demand market, the successful food or grocery apps have different versions of their apps for a customer, restaurant, and the driver. The customer should have a streamlined app, convenient list of restaurants, simple menu display, easy navigation, proper price display, secure payment option, option to view order history, and simple food ordering system. Restaurant version must have an easy and clean order management system to manage all orders, CRM, CMS system, and easy automation. A driver should have access to details of orders like total orders to be delivered, total orders delivered, etc. and the necessary external service to enhance performance. Make sure you have a wider reach for the customers by keeping all the options form veg, non-veg, etc. Every food-delivery start-up has different desires. Developing an on-demand food delivery app like Postmates is not as easy as it seems to be, the developing depends on the level of complex functionality. However, it is not impossible to get your app in hand of millions of users. If you are planning to have your own food-delivery start-up, don’t waste your time. Feel free to contact White Orange Software to have your customize tech platform.